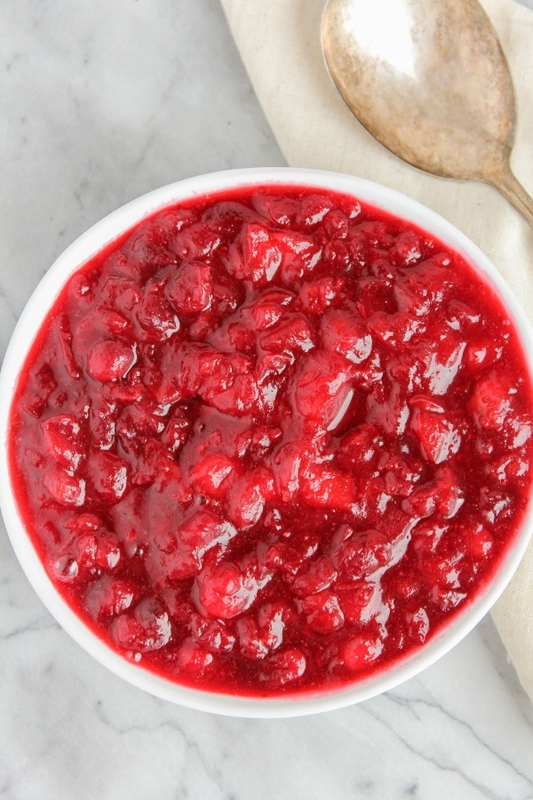 This beautiful, bright red Cranberry-Apple Sauce will soon become a staple on your holiday dinner table! Simple and easy to make, it's both tart and sweet, and full of flavor. Welcome to #CranberryWeek, hosted by Caroline's Cooking and A Kitchen Hoor's Adventures! All week my blogger friends and I will be sharing cranberry-inspired creations in celebration of National Cranberry Day. Scroll down to the bottom of this post to check out the delicious recipes that are being shared today! 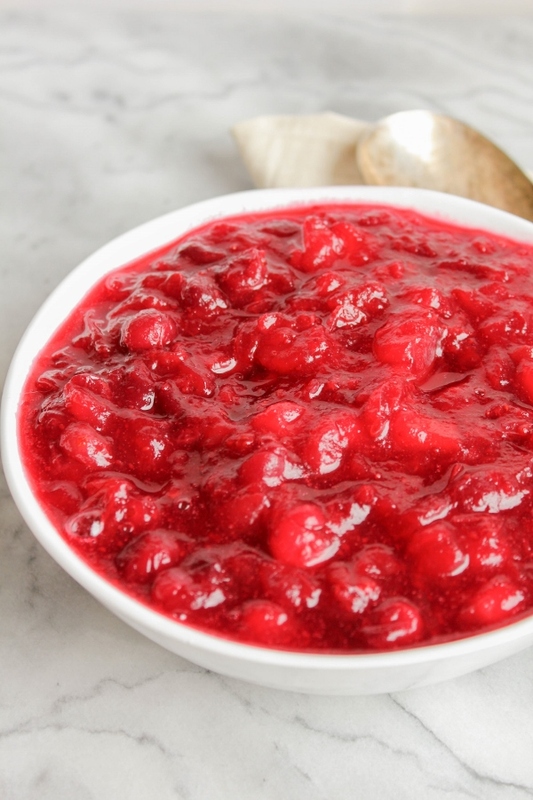 First up for me is this beautiful, bright red, flavorful Cranberry-Apple Sauce. Truth be told, growing up I did not like cranberries at all. I couldn't even eat cranberry jelly, whether it was from a can or homemade. I just did not like the taste. Fast forward several years and depending on how they're prepared, I kinda love them. 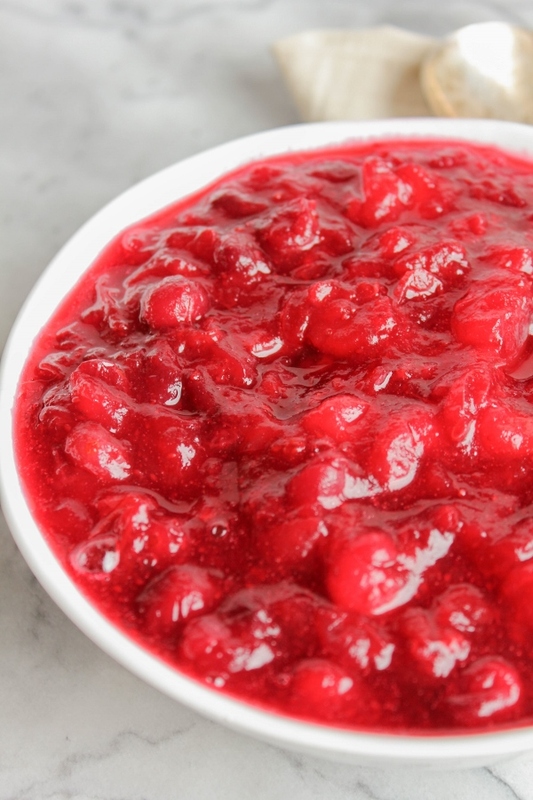 This Cranberry-Apple Sauce has become one of my favorite recipes during the holidays. Fresh cranberries are cooked with sweet honeycrisp apples, a little sugar, water, and a cinnamon stick until the flavors meld into one. It's quite fanastic if I do say so myself. Add all of the ingredients to a Dutch oven or large saucepan over medium-high heat. Bring to a boil, then turn the heat down to a simmer and cook until the berries pop and the sauce thickens, about 30 minutes. Serve at room temperature, or cool completely then store in an airtight container in the refrigerator until ready to serve.